Miguel de Cervantes Saavedra The earliest documents signed with Cervantes' two names, ''Cervantes Saavedra'', appear several years after his repatriation. He began adding the second surname ''Saavedra'' to his patronymic in 1586–1587 in official documents related to his marriage to Catalina de Salazar. }} (; ; ; 29 September 1547 (assumed)22 April 1616 NS) was a Spanish writer who is widely regarded as the greatest writer in the Spanish language and one of the world's preeminent novelists. His novel ''Don Quixote'' has been translated into over 140 languages and dialects; it is, after the Bible, the most-translated book in the world. ''Don Quixote'', a classic of Western literature, is sometimes considered both the first modern novel and the best work of fiction ever written. 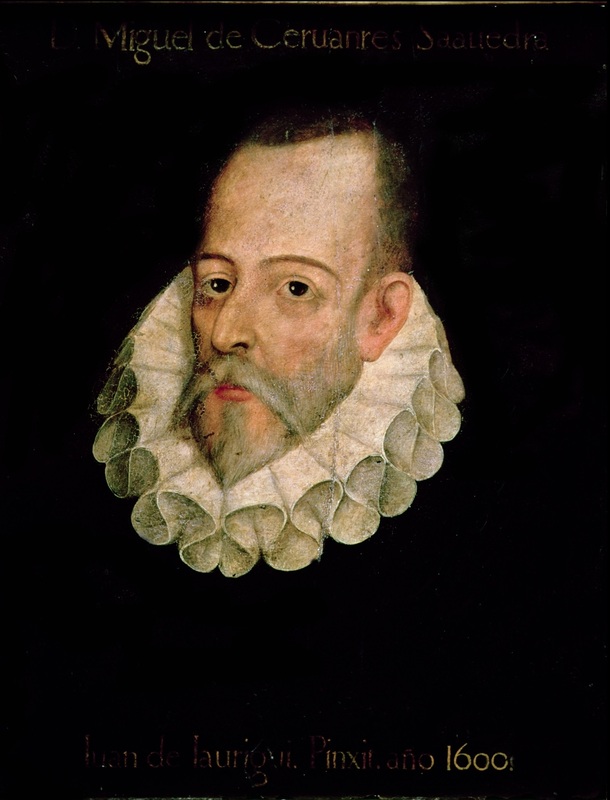 Cervantes' influence on the Spanish language has been so great that the language is often called ''la lengua de Cervantes'' ("the language of Cervantes"). He has also been dubbed ''El príncipe de los ingenios'' ("The Prince of Wits"). In 1585, Cervantes published ''La Galatea'', a pastoral novel. He worked as a purchasing agent for the Spanish Armada and later as a tax collector for the government. In 1597, discrepancies in his accounts for three years previous landed him in the Crown Jail of Seville. El juez de los divorcios y El vizcaino fingido. The complete works of Miguel de Cervantes Saavedra.